There are two-handed swords in the game called EXPcalibur, which you can find in the lower right corner in the slums on Stones Island. In the eastern part of the map to the right of the big bridge, it is right on the water. If you swim straight into the water from where you come to a small rocky island on which the ExpCalibur in a zombie infected. To get the sword you must (the square at the Ps4) hold the "cancellation button" for 2 minutes. Then wait until the zombie is burned to the blueprint to get even. Do you have the sword, then nothing like the headquarters. Here you can double the sword as often and then sell the dealer for $ 1400 just in front of the entrance to the safe zone. Go well with improved weapons. Thus, start pay out quite expensive weapons or equipment. This "trick" does not always work, so try several times. At least 2 stacks of thrown weapon (for example, throwing stars), even better would be 3 or more stacks. If you have two stacks of throwing stars in the inventory (upper stack 99 pieces, lower stack 79 pieces) and want to give to the camp of the lower number of stars, the throwing stars taken from the upper deck. There are 79 plug into the camp of the 99, the other 29 remain of the 99 and 79 from the lower stack in the inventory, so far it is correct. But, if you repeat the process and 79 want to give to the camp, the upper stack is again stressed, however, since only 29 throwing stars are present, but 79 are to be transported to the camp, one gets the remaining 50 "credit" and bearings are more throwing stars, as they had before. Of course, it is also possible when both stacks have 99 pieces, but then you should not select "All". Unfortunately, it does not always work. Sometimes it can happen that you get fewer items at once, as you had before. The Dying Light Money Cheat / Bug! If you want to make the game a little more comfortable, which can be saved with the following Dying Light cheat / bug some time to fill your virtual wallet with money. This cheat makes use of a small bug that many may already know from Dead Iceland. 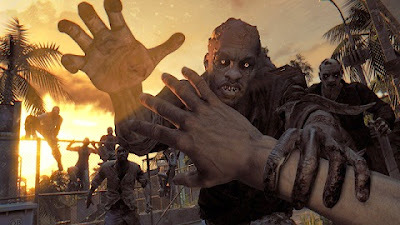 The aim here is to select a weapon, the weapon launchers develop skill and then toss with the right timing the weapon in Dying Light and remove it from the inventory. So you have the opportunity to make a weapon a total of two weapons that you can earn money then again later resell and so on. - Form the "Melee Throw Skill" to throw weapons and buy this. - Once you have done that, you have to bring the most valuable ax or other weapon for throwing and throwing it against a wall. - Once the weapon leaves hand, you have to open (I) and then remove the ax (X) from the inventory. - Look you are now on the ground, then the weapon should be 2x. This can repeat until your inventory space is full so often. The more space you have in your inventory, the more weapons you duplicate the more money you get buy selling your weapons. From the top you (just without hook on the trash box and always spacebar hammer) enter the house. In this house there is a lot of loot, and the ambulance can loot. Since reset every day of the loot, it is worthwhile in any case even stop by. If you are on the bridge of shame, then you can see that there is a piece of the bridge of the two parts of the separated result in the country. Therefore you have to climb the pillars. With Hook with easy access from the bridge onto the pillar. If one has no hook then you get high by climbing the post from the inside. The entrance is under the bridge. At the top of the pillars are chests and on one side is a flag. If you're at it you can also get the success to jump from the bridge at night. On the way from the Sava zone up to the top (above the skeleton on the outside) it looks like on the side of the pillar brace members at the separated part of the bridge leads. In addition to this strut is also a rope with which one comes across. You should take your time to loot around the separated part of the bridge. This takes about a day. And do not forget to crack the police car, the fact there are also many firearms and valuables. To get the design for the Sick Bomb you have to get on the roof of the tower. Above, you need to go to the other side of the roof, where you will find under the scaffold a game checkers. With this you can interact. If you have made a train then it takes only once and a while until his next train can make. So whenever you go back just once to take the next train to the tower of a mission. a design for the Sick Bomb there.